BEIJING — Internet users outside China watched a computer defeat its national go champion, but few Chinese web surfers could see it. Censors blocked access to Tuesday's online broadcast by Google, which organized the game in a town west of Shanghai during a forum on artificial intelligence. The event got little coverage from Chinese newspapers and broadcasters, suggesting they may have received orders to avoid mentioning Google, which closed its China-based search engine in 2010 in a dispute over censorship and computer hacking. 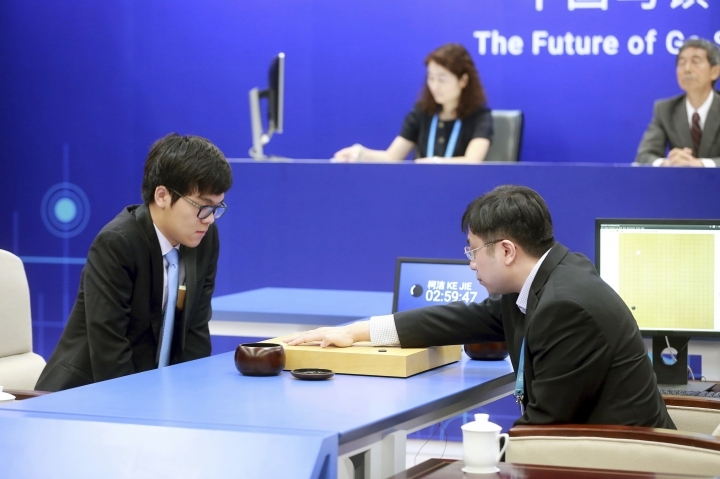 The official response to the game, a major event for go and artificial intelligence, reflects the conflict between the ruling Communist Party's technology ambitions and its insistence on controlling what its public can see, hear and read. The possible reason for suppressing coverage while allowing Google to organize the event in Wuzhen was unclear. Censorship orders to Chinese media are officially secret and government officials refuse to confirm whether online material is blocked. 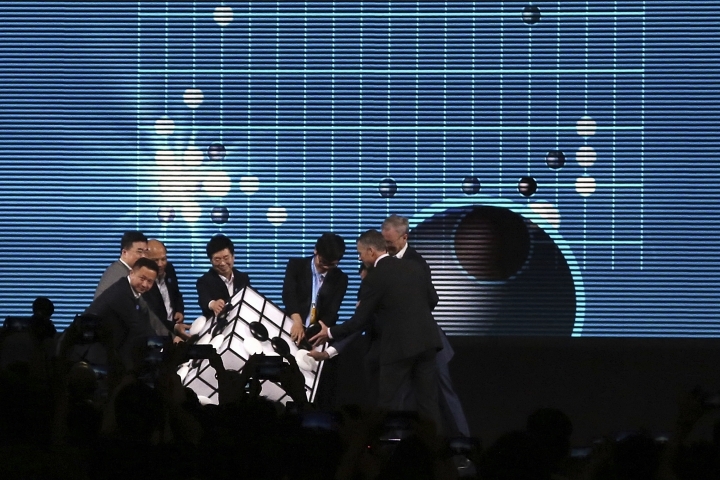 The event showcased AlphaGo, which beats top players at go, a 25 century-old game played with black and white stones on a chessboard-style grid. It is one of the last games that computers have yet to dominate. Tuesday's game took place in a hall where Chinese leaders hold the annual World Internet Conference, an event attended by global internet companies. Newspapers and websites reported AlphaGo's victory over Ke Jie in the first of three games they are to play this week. The reports were brief, even though Ke's post-game news conference was packed with scores of reporters, and none mentioned Google. There was no TV coverage, even though go has millions of fans in China and Ke, a 19-year-old prodigy, is a celebrity. 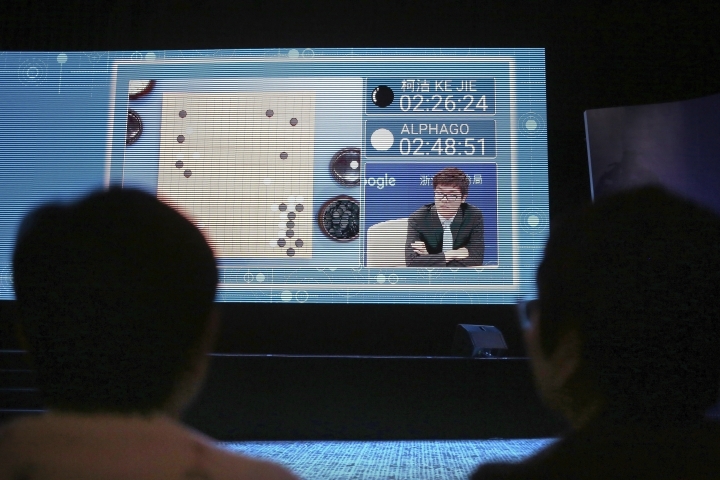 Google says 60 million people in China watched online as AlphaGo played South Korea's go champion in March 2016. The Communist government encourages internet use for business and education but operates an elaborate system of monitoring and censorship. Censors block access to websites include social media and video-sharing websites such as Facebook and YouTube. Chinese internet companies are required to employ teams of censors to watch social media and remove banned material. China has the world's biggest population of internet users, with some 730 million people online by the end of last year, according to government data. Beijing's relationship with Google is especially prickly. The company, headquartered in Mountain View, California, opened a China-based search site in 2006 and cooperated with official censorship. That prompted complaints from human rights and other activists and free press groups such as Reporters Without Borders. In 2010, Google announced it no longer wanted to comply after hacking attacks on the company were traced to China. The company shut down its China search engine and visitors were automatically transferred to another Google service in Hong Kong. That stopped after Chinese authorities objected. Online filters slow access to the Hong Kong site enough to discourage many users. AlphaGo and Ke are to play their second game on Thursday.